Home » Blog » Business Support » Your Active Chamber! I don’t know about you but with increasingly busy lives it’s difficult sometimes to be as ‘active’ as we all know we should be! But ‘active’ isn’t just about physical activity, good though that is! Here at the Chamber, we are a proactive organisation that is adding value to the fabric of our town, sometimes directly and often, indirectly through the various events that we organise for our members and in some cases, non-members too. Our April breakfast networking event with the support of member, Dawson Hart solicitors, will look at the important aspect of how smaller and medium sized businesses can include ‘Corporate Social Responsibility’ (CSR) within the fabric of their activities. What is CSR and what are the benefits of being ‘active’? Our ‘Speed Networking’ event on Weds 1 May at the Civic Centre is certain to see lots of activity. I can guarantee that you will meet more businesses, who could be potential clients or suppliers, in 90 minutes than perhaps you’ve ever done before! 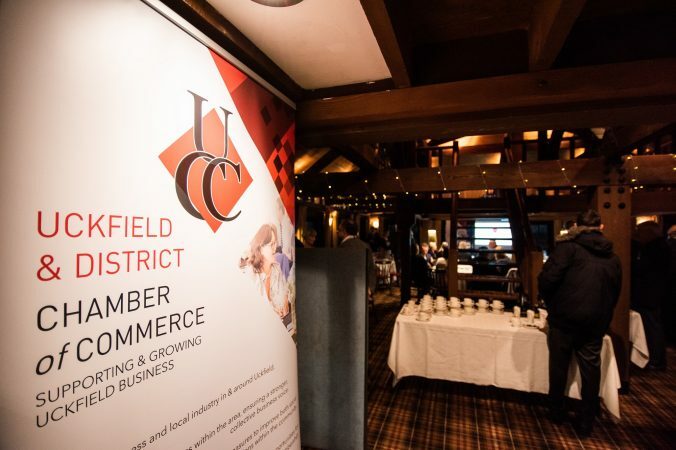 Working together with other chambers, we are pleased to host this active networking event in Uckfield. And then later in May, we return to the Civic Centre for our next Members’ meeting (and this is members only so you’ll have to join if you want to attend) where our keynote speaker, Jeremy Taylor, will address the Gatwick airport expansion plans. This is an important topic and one that has an impact upon the economy of Uckfield and the surrounding area. Another type of event that we have run recently is called ‘Lunch & learn’. Again, with busy lives small business owners sometimes struggle to make the time to learn new and often essential business skills. Combining some basic training with a sandwich lunch allows our members to address some knowledge gaps and network with others at the same time. Our next ‘Lunch & learn‘ will look at avoiding the most common HR mistakes in business with some expert input from Victoria Thomson at The HR Dept. For more information on all Chamber events, do give Ian a call on 07801 250668.